Moksha is easy to use for editors and for authors. Submitting stories and keeping track of their status is a breeze with simplified interfaces. We are inundated with information these days, and it can be difficult determining what is important, and what’s better left alone. 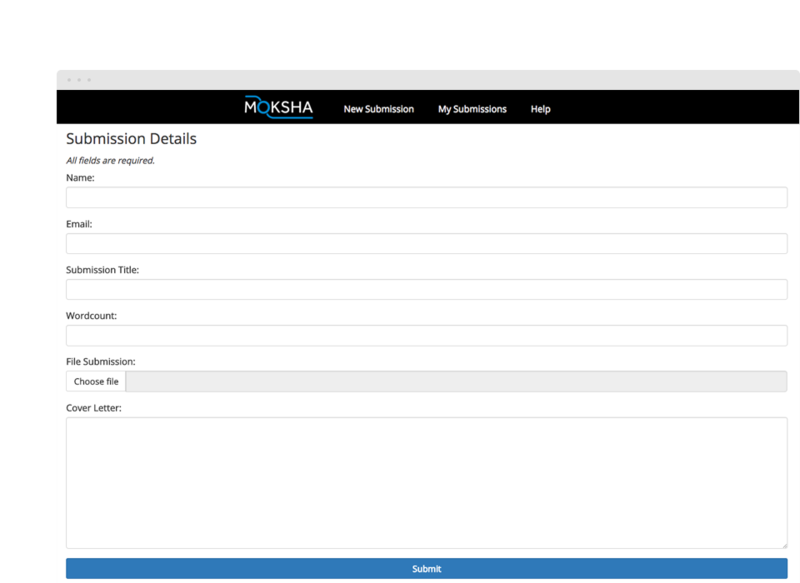 At every step of the way, Moksha simplifies tasks both for you, the editor, and for the author. Forms are designed to be as simple as possible. Advanced features are turned off by default, but can be turned on with one click. From your first click, Moksha is ready to go. But should you want to enable more powerful features, a simplified interface makes turning those options on a cinch. Moksha has been designed to be as intuitive to use as it is reliable. But to really see all that Moksha can do, see it in action. You can sign up for a free 14-day trial here.